The news that former Super Eagles coach Christain Chukwu is suffering from an undisclosed ailment, and needs $50,000 for a medical trip abroad, broke on Sunday. And today, it has gained momentum particularly in the Nigerian football world, and social media is driving towards giving it all the publicity it can. That said, the reactions from Nigerians on Twitter has been polarised. But a large bulk of opinions have stewed in government criticisms, the shambolic state of the healthcare system that can’t cater to Chukwu’s ailing health, that the decision was made for him to be flown abroad. President Buhari is flown out when he has a cough, so this shouldn’t be utterly shocking. 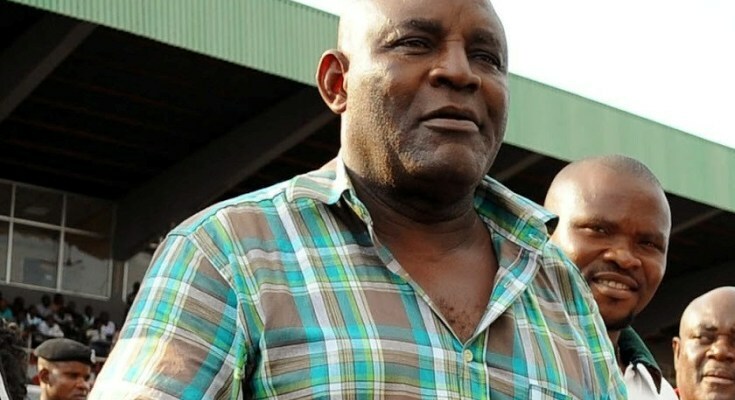 Former Super Eagles captain and coach, Christian Chukwu, has been confirmed to be very sick. It was learnt that he needs an estimated $50,000 assistance to take care of the medical bills. I don’t know why the FG can’t fix our Hospitals so that people likes Christian Chukwu and those that made the country proud should be taking care of FREE. Instead of the masses donating. Ooh i forgot Even the president runs to UK with tax payers money. Shame on this country. I really hope the Nigerian government is going to do the right thing by coming to the aid of Christian Chukwu. NFF shouldn’t add this to their list of failed promises. Still, it’s all very pathetic that one of the country’s football heroes might lose his life because of the government’s indifference. Well, until now. The NFF has [coughs] pledged its support to Chukwu, made known by the president of the federation Amaju Pinnick. He mandated the Chairman of the Enugu State Football Association and Member of the NFF Executive Committee, Hon Chidi Ofo Okenwa to pay a visit to the 1980 AFCON winning team captain, to get the details of his challenges and what needs to be done to return him to good health. I’m almost certain that if Pinnick does a quick Google search about Chukwu, he would get all the information he needs about the former Super Eagles coach, and there will be no need to send a delegation. Also, the NFF should get the $50,000 ready, and ditch all the bureaucracy.